Measurements: 18mm long X 11mm wide at the widest part. 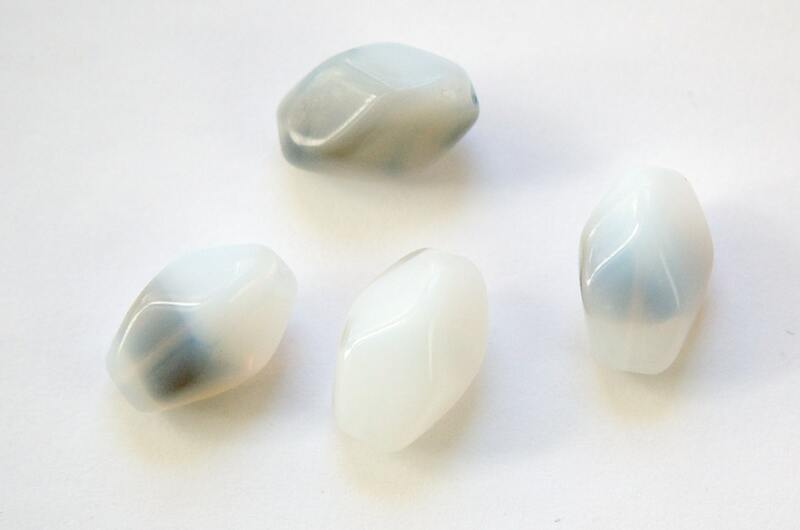 Characteristics: These have an oval pinched or faceted like shape. Color: Mainly milky white with a black/smokey/gray colored inclusion. The amount of color varies from bead to bead. Each bead is different. These are beautiful beads. I wish I ordered more than just 4.